We had two back-to-back windy, sub-freezing days here in New York this week, which was enough to make me seriously consider purchasing one of these full-body, down snowsuits — I mean, it is on sale for only $600. But alas, I do not have $600 to spend on a full-body, down snowsuit, and even if I did, the logistics of incorporating the suit into my day-to-day routine seem overwhelming. Instead, I went in search of an alternate way to encase my entire body in down. Turns out, there are whole bunch of puffy accessories that can be worn with your puffer jacket — or any jacket, if you’re not a puffer-on-puffer fan —to maximize the amount of insulation on your person. Some are more obvious, others are over-the-top, but all will keep you warm until winter is over. Sometimes I zip up my puffy down jacket and wish that the zipping wouldn’t stop until my entire head and face was tucked cozily inside. That’s not really a feasible fantasy, though, which is why I really like these puffy insulated scarves from American Eagle. Their best feature is a hole near one end through which you can thread the other end. Why don’t all scarves have that!? Why yes, that is a beanie filled with down you are gazing upon. 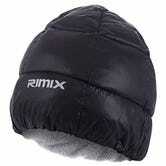 And not only is this cap insulated, but the inside is lined with cozy, soft fleece. If you now want to burn all your useless knitted beanies as an additional heat source for your home, you are not alone. Say hell no to cold toes with these insulated footwear options from Baffin. The Cush slipper is like a sleeping bag for your foot, while the Base Camp is basically the Cush in boot-form. Both feature an adjustable bungee cord at the ankle to keep your foot snugly inside, while the Base Camp has an additional drawcord at the top to keep heat in. Beware: Neither of these shoes has much traction at all, so you might want to think twice while wearing them outdoors on slippery or icy surfaces. They should be perfect for traipsing around your house, though. Down-filled gloves aren’t exactly a revelation, but they do keep your hands warmer than, say, the mittens your great aunt knitted for you. When it comes to your hands, you don’t want anything too heavy weighing them down. 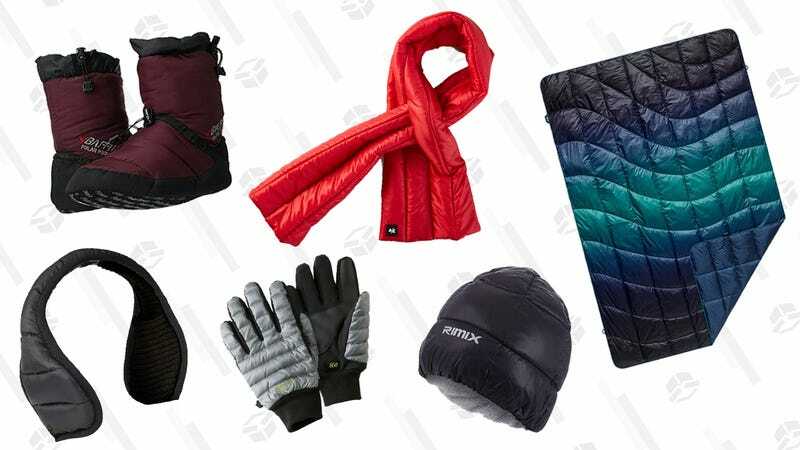 You’ll hardly feel these Ultralight 850 gloves from L.L.Bean, not to mention, they’ll protect your fingers from any moisture and/or winter winds that you might come in contact with. When cold air strikes, your ears are usually its first victims. 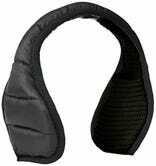 Earmuffs come in many forms, but these down-filled ones are particularly intriguing. They fit most head sizes and boast a water-resistant shell. Do you hear that? It’s the sound of your ears not getting frostbite. After compiling this list, I found myself wishing for a way to amorphously wrap myself in some sort of down cocoon. Outdoor brand Rumpl apparently had the same dream, and made my wistful desire into a reality with their Puffy Poncho and Puffy Down Blankets. I dare you to put on all of your puffy apparel, including your puffer coat, and slide under this puffy blanket — as if you weren’t already daydreaming about doing that.